Considering the growing interest in South African Literature at the moment, this study looks at both the Anglophone literature of South Africa and the lusophone literature of Angola and Mozambique. Stefan Helgesson suggests that the prevalence of ‘colonial’ languages such as English and Portuguese in ‘anticolonial’ or ‘postcolonial’ African Literature is primarily an effect of the print network. 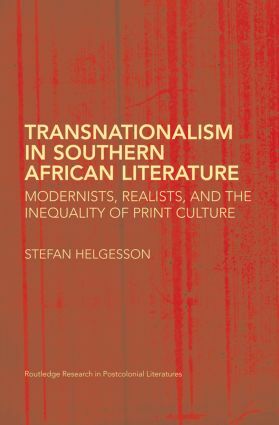 Helgesson aims to demystify the authority of English and Portuguese by stressing the materiality of the print medium and emphasising the strong transnational and transcontinental vectors of southern African literature after the Second World War.